The Most Reverend David A. Konderla, Bishop of Tulsa, will open our reception at 5:30pm in the Scianna Performing Arts Center. 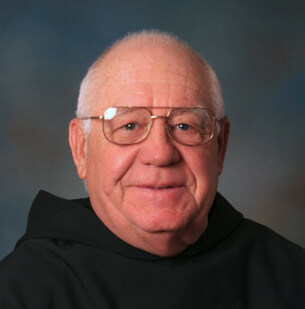 We will then recognize Father John Gaffney, O.S.A., for his lifelong commitment to the Augustinian Order. We will also honor Fr. Bill Perez, O.S.A., for his 60th Anniversary of Profession of Vows. Brother Nick Mullarkey, O.S.A., will conclude the reception with his remarks on "Becoming an Augustinian." There will be an open bar and heavy hors d'oeuvres served at the reception. The attire is business casual. Guests are also welcome to join us for Mass beforehand at 4:00pm at Cascia Hall's St. Rita Chapel. The Mass takes part during the Augustinian Values Institute (AVI), at which Augustinian educators from around the world explore the Augustinian core values of Truth, Unity, and Love. Bishop David Konderla will be the Principal Celebrant; Fr. Bernie Scianna, O.S.A., will be the Homilist. Feast of Saint Augustine and Solemn Profession of Vows for Brothers Stephen Isley, O.S.A. ; and Joe Ruiz, O.S.A.